Izmir is a huge city in Central-Western Turkey, overlooking the Aegean Sea, according to many scholars home to the poet Homer. The metropolis has a very rich history dating back at least 5 thousand years. 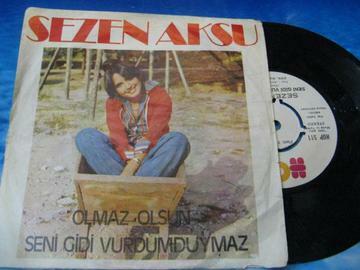 It is inside its walls that the talent of one of the most charismatic figures in Turkish pop music emerged: Sezen Aksu. She arrived in Izmir with her family in 1957, when she was three. She spent her childhood and early youth in the Bergama district of the the Anatolian city, cherishing a passion for painting and drama, giving life to her early musical compositions. What is stunning about her is that she is the first female artist to write both lyrics and music to her own songs, drawing fully from Turkish culture. As of today, biographers believe she has written at least 500 songs. She tackles various themes, but her favorites are feelings, the heart’s trials and tribulations, love requited and unrequited. The highly imaginative “love” word is the one she uses the most. “Love has always been my battlefield”, she saya. “With it, I believe I have crossed paths with the destiny of many people. If you think of it, love is what gives the purest sense to human nature, to people’s most intimate feelings, to the fight against any racial discrimination and all types of racism”. These are the same themes she writes about when producing prose and poetry. She did not have to wait too long for success - even though no one would have ever imagined she would sell 40 million albums worldwide – and she became one of the most legendary figures in the history of modern music, which had its center in Istanbul: with her 40-year old career and 20 albums, only Ajda Pekkan – known as the “Superstar” for obvious reasons – can actually run for the seat of queen of Turkish pop music. The flame of success kept on burning, but the girl was always down-to-earth and, despite her success, she decided to enroll in the faculty of Agricultural Sciences, convinced that studying would bring benefit to her future. In the meantime, she wrote her first masterpiece, "Kaybolan Yillar", a melodious song full of pathos, as almost all her compositions are. The song immediately became a hit, proclaiming her as one of the most promising artists on the Anatolian musical scene. In 1975, she released “Gel Bana” under the pseudonym of Sezen Seley. Compared to "Kaybolan Yillar", it was - and still is – fresh, lively, an invitation to dance and it echoes the French ye-ye style. The year after that, she released "Olmaz Olsun", another hit that soon climbed the Country’s charts, paraphrasing pentagrams that led back to the Arab musical universe. The cover of the EP was somewhat curious, showing Sezen sitting on a wheelbarrow, dressed like a Western teenager, with a perky way about her. Her debut album, "Serce", was released in 1978: it comprises other musical jewels like the fascinating "Icime Sinmiyor", the second track after "Kaybolan Yillar", a sentimental song opening with a refrain where Aksu is at her best showing her vocal power to the world. On the album, she collaborated for the first time with Hursid Yenigun (1951), a musician and composer from Ankara. Together, they have handed down innumerable tracks to posterity, among which are "Golge Etme" and "Yorgun Aksamlar". "Biliyorsun" was released soon after, casting a light on a fully mature artist, of a charming beauty for men and women of all ages. The song is greatly influenced by traditional Turkish music and leads to a catchy refrain, the secret to its incredible success (it has received almost a million and a half clicks on Youtube ). The year 1981 saw the release of another masterpiece, "Aglamak Guzeldir", a highly successful album commercially speaking. The title track opens with a mellow piano sound from which the voice of beautiful Sezen rises all of a sudden. The track is in a minor tonality, leading into a refrain sustained by a strong orchestra base, an all block-letter “melodrama”, typical of various songs coming from the Romance-speaking Countries. Sometimes it reminds of the Italian singer Milva and at times of the French tracks from Dalida. 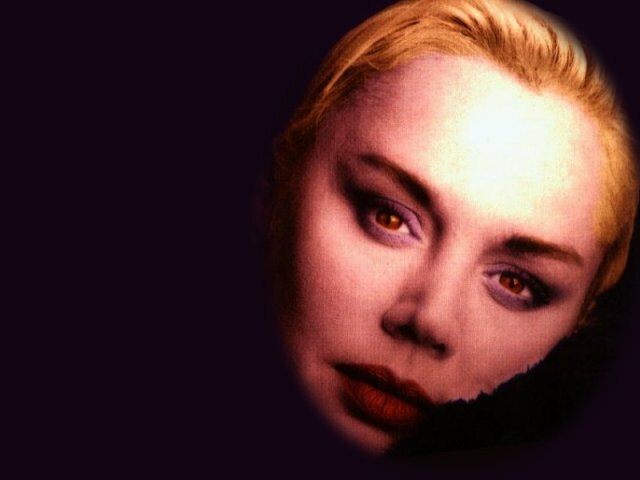 Her increasingly convincing career continued well into the ‘80s, working side by side with the producer and bass player of Armenian origins, Onno Tunc (1948-1996). They were also romantically involved: their intense love story tragically ended in 1996 when Tunc died in an airplane crash. Together they released "Sen Aglama" (1984), "Git" (1986), "Sezen Aksu'88" (1988) and, in 1990, one of Sezen’s most clamorous albums: "Gulumse". The famous "Hadi Bakalim" turned into a single from this LP and became a hit all over Europe, released as an official single in Germany. The ‘90s were just as fruitful and the proceeds of most of the albums released during those years were given to charity, setting Aksu among the artists most attentive to those in need. She is well known for her fundraiser for the terrible earthquake that ravaged Turkey in 1999, killing 17 thousand people. Her social involvement is still strong today: by singing in different languages, she proposes her music and lyrics to Greece and a great part of the Balkans, favoring the communion and synergy amongst peoples; she has supported the campaign for Turkish children schooling and fought for the social inclusion of girls coming from the most disadvantaged and damaged families. She has also helped young artists such as Tarkan (who also became famous abroad with the single "Simarik") and Sertab Erener (winner of the 2003 Eurovision Song Contest with the song "Every Way That I Can") to be discovered and make the world aware of their talent. Amongst the most successful songs from the new decade, there are "Deli Kizin Turkusu" (1993), introduced by the drumming "Sude" and followed by "Tenna", the seventh track, with music by Onno Tunc and lyrics by the great Turkish poet Nazim Hikmet. In 1995 she released the experimental album "Isik Dogudan Yukselir", which draws greatly on the Anatolian musical tradition. The cover looks like a Roman mosaic and the songs, such as "Ben Annemi Isterim", are typical Balkan and Middle-Eastern folklore hymns. One year later, she dedicated the album "Dus Bahceleri" to Onno Tunc and in 1997 she released the energetic "Dugun Ve Cenaze", with the participation of Goran Bregović, composer of the music: a nice sneak peak is "Ayisigi", a song where Sezen’s fascinating voice perfectly embraces the impetus of Bregović’s Balkan rhythms. After the short break with the 2005 film "Crossing the bridge: the sound of Istanbul", she released "Yuruyorum Dus Bahcelenri'nde" (2009) – which sold as many as 100 thousand copies a week upon release – and "Öptüm" (2011), with the collaboration of pop stars such as Nazan Oncel. Compared to her early work, her sounds are much more modern and the arrangements more sophisticated. Sezen’s extraordinary poetic verve, however, has remained the same: an ode to the warmth of the music that has for centuries accompanied the tides of the Aegean Sea.